December: Dallas Marathon and double challenge 5k in New Years (running a 5k on 12/31/13 and a 5k on 1/1/14) with Pulis sister. 2. St. Patty's tri... Always fun to have a Tri 10 minutes away from home yay to sleeping in! 3. IMTX 70.3... Did it this year, loved the course. We might also have M and G convicted as well, I think they might go for it too. 4. Here is where the "resisting the urge" comes, well... We couldn't wait any longer, we have signed up for Challenge Atlantic City 2014, it is an inaugural race and also is going back home to where the Jersey girl grew up. It will be fun as we can have family and friends cheer and see what we do for "fun". 6. November: Ironman Arizona.... So far we are planning to volunteer at this one, Res has some training for two weeks ending that weekend and we are trying to debate if we can actually make the trip. We are trying to make a desicion in the next week or so, since we need to let the volunteer teams know that they will be down two people. So that way we ended up not resisting the urge to sign for what would be our main journey of 2014. It is a race, and some call it the A race, for us this is a journey, it is another (yet exciting) chapter in our tri-ing life and another chance to push our bodies to the not so unknown now but still every event is different and the distance deserves all the respect you can give it. Last weekend we had a fun racing weekend. Note how we call that "fun." Anyways, we had a short 5K to benefit the DFW Lab Rescue organization which is very close to our hearts because is the organization where we rescued both Anise and JayJay. Also was the 2nd time we were going to do their 5K, first time was our 5K so in a way it was a full circle type of thing. On top of that we did our very first 5K with Anise the year we adopted her so to commemorate us adopting JayJay we wanted to do it with her too. After that 5K stunt, we were heading off to Possum Kingdom Lake to do our Trifecta Olympic Tri, this was again a come back race for us, so it was pretty nice to visit the venue again. We are ashamed to say that yes for the first time in a long time we did not train all week, our last workout was on Sunday and we did not train. I guess things just got in the way and we didn't push to train. It happens, also it was too hot, and we just couldn't get the motivation. It is weird, but definitely Ironman takes a toll on all that stuff. Our weekend workout was good so I guess we didn't feel like working out during the week was going to make much of a difference on our performance on both races, it is like in college, cramming everything in the day before the test doesn't do you any good, what you do leading up to it is what counts, in our case, just like in college it wasn't much so we were going with our reserves and left over endurance. Our 5K morning started as usual, light breakfast, get the pup ready as we were turning her over to her foster mom L and her kids for the weekend and head out to the park. It was a different park than 4 years ago, and was closer to home. We met M and G there as they were doing it with us as well. Picked up our package and got our selves ready for the race, total about 300 people or so, not a big race. G decided that he wanted to be up front as he didn't like to pass people. M, Res and I stayed in the back and did our usual "was fun and giggles until the gun went off" joke. I took off, my pace was nice, it was pretty flat and maybe a slight tail wind. I got to see G maybe a bit after mile 1 so kept him in my sights. Close to mile 1.2 was the water station and got some water and saw L and her kids and said hello and gave them a hug, then got on my way. At the turn I had G within a good distance so I caught up to him, talked to him for a bit, he seemed to be pushing hard, we had maybe 0.5 miles to go so I told him "let's take it home" which we did, a bit of a sprint to the end. It was good, had a great run, PRed, and got 2nd place of the AG and 13th overall. Res got 5th place on her AG running with JayJay which was pretty awesome considering that she claimed not to be pushing but still did it in 30 minutes :), note how that is not pushing it. G came in 3rd in his AG and M came also with a PR. We were all happy. Then heading home to pack for the tri, get 4 bikes and 5 athletes with gear and bags in the truck was a bit of a challenge but we managed leave it to the engineer to figure that one out. Headed to PK and got to the team's cabins. It was cool to get with 30+ teammates for a little camping fun, s'mores and all were in order. Race day came quick. We were ready by 6:30 however alarms went off by 5:15 and snores a lot earlier than that. Oh well.... it happens, glad I had my headphones so I could sleep a bit more. Swim was ok, nothing too extraordinary, came out of the water with my arms feeling so heavy (granted haven't swam in a week and no swims during the week only weekends). T1 was a bit uphill run and had to carry the bike out for a while, which felt like forever and the arms could hardly carry the 17lbs bike. My swim was a bit faster than last year, so I guess I was in for a PR there. The bike was fun, I'm loving the bike a lot and feeling so strong on it. Managed to keep a girl in my sights and pushed 22 mph for a good ways to the hill before the turn point. I passed Z (the coaches son up the hill), J (another teammate) and saw I only had BH, F. in front of me from the team. On the turn point I saw the rest of the team and kept going was 3rd of the team couldn't complain about that and it wasn't by far, I was pretty darn close to the other 2. On the way back I felt a bit of head wind and pushed a bit not much because I wasn't sure about the run. It wasn't the same run as last year so I wanted to have some legs left. Well I still managed about 19 mph on the way back and ended with an official 19 mph average (19.6 mph from the garmin I take that!). Was again faster than last year so the run was the decisive factor of my overall PR and maybe second podium of the weekend. That ended quickly, the run as expected was a trail run but was more of a hiking trail run and hard trails they were. I give it to the organizers they were covered, but heck!!! they beat the crap out of us there. Total run in the trails about 3.5 miles so had 2.6 left to go. At mile 4 guess what... another hill, legs shut. Mile 5.5 saw the cheering squad from the team and S was making sure to run with us a bit of it, that was such an energy boost, yet legs not feeling it but managed to get to the finish line. Res on the other hand had a great swim, this year was not a wetsuit legal race, so she was nervous but came out of the water faster than last year, which was proof that she is a lot stronger and getting faster. The bike was pretty much the same as last year, but she felt issues with the bike and I still have to check it, her garmin showed a good pace, cadence and heart rate which she's been working on for the last few months. The run took such a beat on all of us, she didn't like the run much, granted she's never done a trail run in her life so that was a new for her. I guess we learned from this last tri a few lessons. Not all tris are the same, even if you know the course your body reacts different to the environment and tris have a lot of outside factors that affect the whole result. In our case we had heat (didn't have it last year), had trained a lot more last year, and also the trail run was new. Well, if you look at it, it was a great day and it embraced the true reason why we do triathlons. We do tris to push our bodies, to learn our limits, to see new things and get out of comfort zone and that is exactly what the trail run did. Would we do it again? as usual... heck yes!!! would we prepare for it? of course, now we know what to expect and hopefully the coach makes us train on those trails. 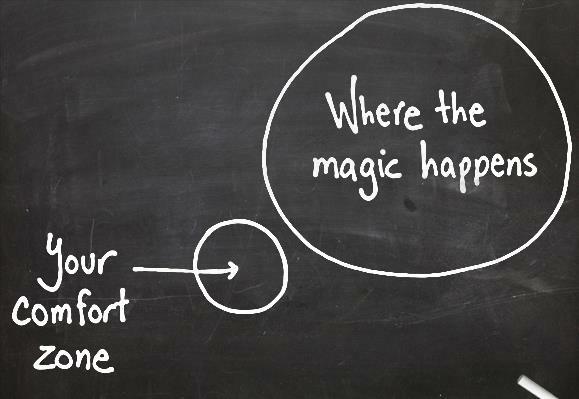 It is like everything... the magic happens outside of your comfort zone. With that we conclude another successful tri season, we are off to close out our year with a half marathon, a relay run, a marathon (Dallas Marathon) and probably a 10K here and there... for sure it has been heck of a season, tons of miles on every sport (we will leave the summary for the end of the year post) but for sure we've gotten better at it and making progress on our speeds and paces. Granted our last tri run doesn't reflect that, but conditions didn't allow it. We are both feeling stronger than ever and willing to continue with this crazy journey. Stay tuned for our planning of the 2014 season... IMAZ here we come. On Labor Day, we had a chance to go cheer on our friends M and G while they were doing their first sprint tri. Looking back a couple of months ago, we got them hooked shortly after we came back from our Ironman. M had mentioned that she had started running but we think they got to consider doing tris after talking more and more about it to us. We helped them go and check out bikes, talked them through the basics, helped them work on a training plan that was doable, and then they signed up for their first tri. Cheering made us think about our beginnings, also made us think of why we do this, which is one of the big reasons of this blog. We remembered how our first race was, our nerves, excitement and all the different emotions that go along with simply racing. Now, even though we have moved to longer distances and we have gotten more experienced, we haven't forgotten that we do this for other reasons. First and foremost it's to have fun, we push our bodies and want to do well, but we want to have fun. Although at times, pain comes with racing, the feeling of accomplishment at the end is amazing! We also do it because we want to become better individuals and better as a team. Team Res-Puli that is! We've grown so much as individuals, not only physically through this process, but also mentally. We are tougher mentally, which makes us better on the personal and professional fronts. As a team, being a couple that tris has taught us so much, tri-ing as a couple, being married, pushing each other, building a stronger relationship, and having fun together. So while we had a lot of fun cheering and had a great time seeing M and G become part of the triathlete world and being proud of them, we also had a chance to look back and think about our tri life. We think that we'll be triing for a while, we love it, enjoy it and best of all... we still have FUN!!. That's it for now... our next post will be probably be after we take on Trifecta for the 2nd time. Should be a fun race.